Our pioneering work focuses on training and supporting teams of Portage workers in various regions of Russia, currently in Ryazan, Moscow and Rostov regions. 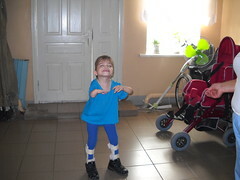 When we started there were teams in two orphanages in the Ryazan region of Russia and also one in the community working with families with disabled children in their own homes in Ryazan city. 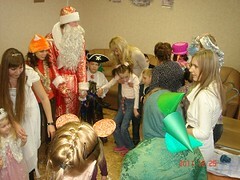 This has expanded to a team providing Portage in a day centre in Moscow and a community team in Taganrog, a town in southern region of Rostov. 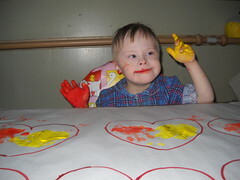 Portage is a system of one to one early childhood education used successfully with disabled children in many parts of the world. The success of this model of early intervention in Ryazan was breathtaking and formed the basis on which we have been able to expand to other regions. ThePromise’s primary function is to act as a catalyst for change, by setting standards in good practice, raising awareness of the rights and needs of disabled children and creating sustainable models of development. 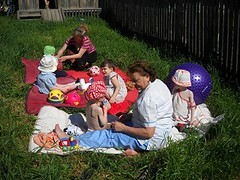 600,000 children live without parental care in Russia. At least a third are in institutions. Thousands more live temporarily in public shelters and institutions under police jurisdiction waiting for a place in an orphanage. Many children are not orphans but their parents have been deprived of their parental rights for a variety of social and economic reasons or have simply abandoned them. Many disabled children are in orphanages because of the social stigma attached to disability or because of the economic situation, both of which make it difficult for parents to care for them. The number of children housed in institutions is rising. The current system has not changed much since the end of the Communist era although many professionals within it are working hard to change this and there is some visible progress. The experience of individual children may differ from the description below but only for the lucky few. A child who enters the orphanage system at a young age will usually be cared for by the Department of Health in a Baby Home until they are 3 years old (or 4 if they are disabled). At the end of this time, they are assessed and classified as either normal or “oligophrenic”, literally small-brained. Children classified as oligophrenic will receive a minimum education and will subsequently be directed to manual jobs. They will be denied basic rights, such as driving or voting. Approximately 50% of the children leaving Baby Homes end up with this classification. Some “oligophrenics” are further classified as “Imbecile” or “Idiot”. 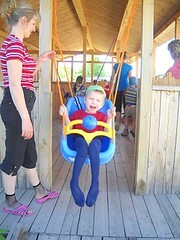 These are the children with serious learning disabilities or physical disabilities. 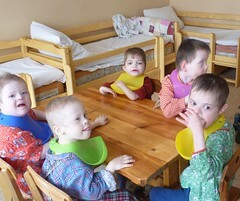 They are deemed uneducable and are sent to orphanages run by the Ministry of Labour and Social Development. Here they receive no education and minimal therapy. Conditions in these orphanages are very poor and most are closed to outsiders. Widely documented research shows that many children growing up in the orphanage system are being denied one-to-one interaction, human touch, love and access to stimulating toys – all vital to healthy emotional and physical development. As a result many of the children lack self-esteem, a sense of identity, an ability to emotionally attach to others and any sense of security. This hampers all aspects of their development and many will receive the label oligophrenic as a result of institutionalisation rather than any actual disability from birth. ThePromise has shown beyond doubt that Portage has helped disabled children in Russia to fulfil their potential and to lead happier lives. Portage was developed in Portage, USA, in the early 1970s as a home-visiting service for pre-school children with special needs. It has received wide international acclaim and is available throughout the UK, Europe and the US. It breaks down developmental steps into minute sub-sections devising games and activities around each small step to help the child learn. Initially the child’s current development is observed and recorded using a checklist across five areas: social, language, self-help, cognitive and motor development. Each programme is tailored to meet the requirements of the individual child and activities are designed to boost the child’s development in those areas where help is needed – from very early motor skills to the more complex task of using language. ThePromise is being supported by Educationalist and Portage Specialist Mollie White, a member of the original team in the 1970s, who introduced Portage to the UK. Read more about Portage here.